USCIS announced yesterday that it will release a new Form I-9, Employment Eligibility Verification, on July 17, 2017. 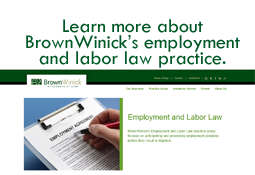 Employers will be required to use the form beginning September 18, 2017. Check back here for additional information, which will be posted as it becomes available. If you have questions, please contact one of BrownWinick’s immigration attorneys, ElizabethCoonan or Corrin Hatala, and we would be happy to assist you.